Did you know that you can just search Argos Clearance items that are available in your local store? It can be really frustrating when you see something at an amazing price but its not in stock in your local store. Heres a quick guide on how to search your local. First things first … it will not work on a mobile or the Argos app. It only works when you access through a computer or table (through a browser – not the app). When you head to the Argos website you will notice a clearance section at the very top. After clicking on the Clearance icon it will open up the clearance section. You can choose from 9 different categories however this wont narrow it down by store. I didn’t notice it at first but if you keep scrolling down there is a ‘Browse By Store’ section. Here is where you can either enter your postcode or town and it will find your nearest store for you. Once you have found your store – click on it. It will then show everything available in your local store that is a part of the clearance section. 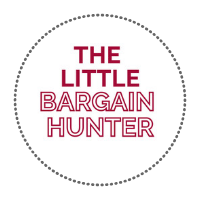 It’s really handy – you can find some cracking bargains!